We are an "original Chicagoan"! We have been in the car service/limousine industry for over twenty years, and have had the honor of watching our city change and grow. The value in our company as compared to others are our people. We simply have the best overall experience from start to finish. Our office, having unparalleled local knowledge and relationships with many of our great hotels, restaurants, and clubs, can assist not only in airport reservations, but in making any event sparkle! Our team of drivers want to create a perfect environment for you, the traveler, to feel safe and comfortable. Our primary goal is to help make your stay extra special, both in our city and in our car. 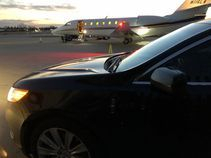 In Chicago Sedan and Limousine will provide first class transportation service to all locations in the Chicagoland metropolitan region, as well as points out of town. We have valuable insight into city events that constantly evolve with the seasons, which that make Chicago one of the greatest cities to visit! In Chicago Sedan and Limousine is committed to reliability, value, integrity, and first-class service. We are available to perform outstanding event transportation service for weddings or corporate events with our luxurious stretch limousines, corporate coach service, charter buses or executive SUV's. Let us assist in helping you plan your special event transportation.